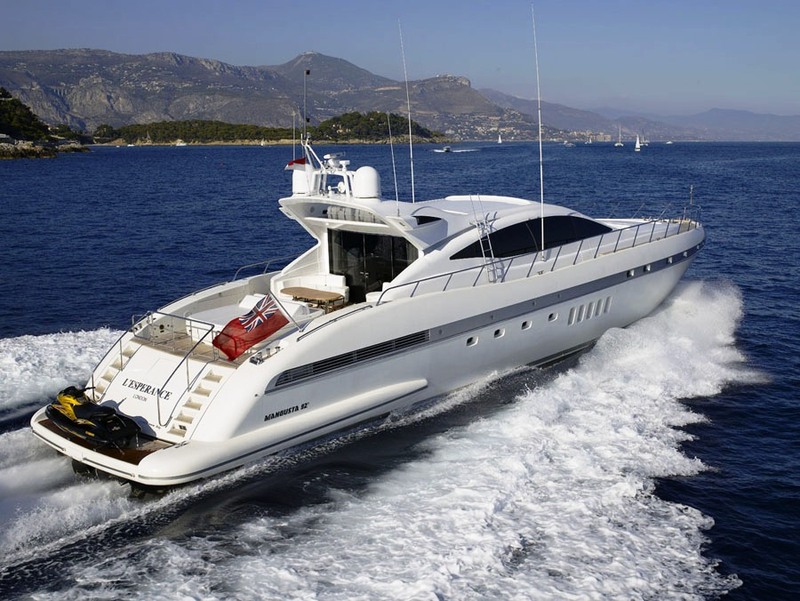 Motor yacht L’ESPERANCE is a Mangusta 92 measuring 28,30m (92' 10") and is a fine example of the popular Mangusta range built for Rodriguez Group. 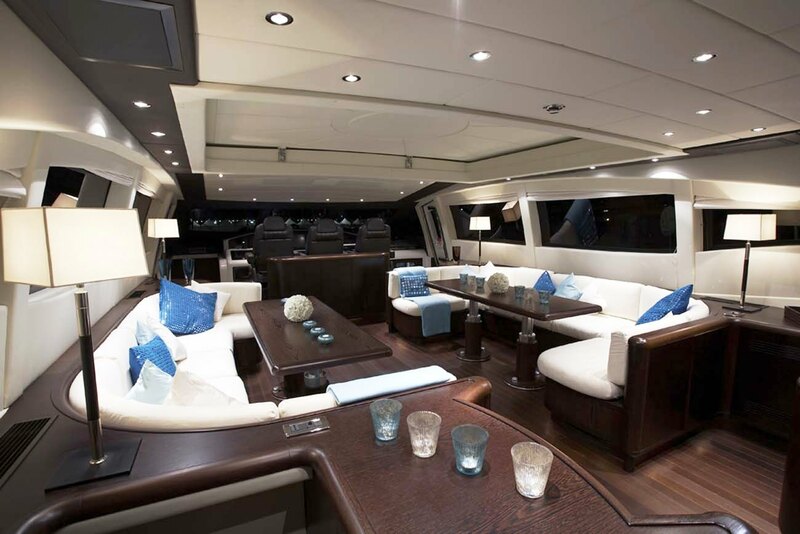 The Mangusta 92 L’ESPERANCE has exclusive interior featuring dark wenge floor and furniture that contrasts elegantly with her white leather ceiling and colored cushions. Upon entering the salon there is a bar to starboard fitted with an icemaker, a refrigerator, a Nespresso coffee machine and a sink. 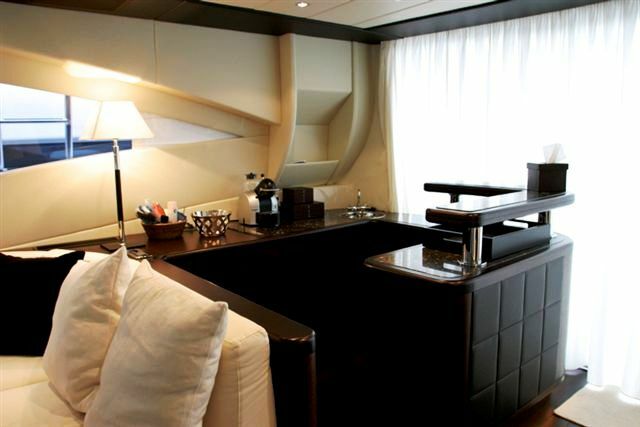 Facing the bar is the staircase that leads to the separate crew quarters, the laundry area and the galley. Further forward there are two opposing u shaped couches that are versatile dining or relaxing areas. The 4 telescopic coffee tables can be converted into 2 dining tables to accommodate 10 guests. The white upholstery of the sofas together with the large windows provide an immediate feeling of spaciousness. Guests can dine al fresco thanks to the sliding sunroof that opens the deck salon to the sky above. 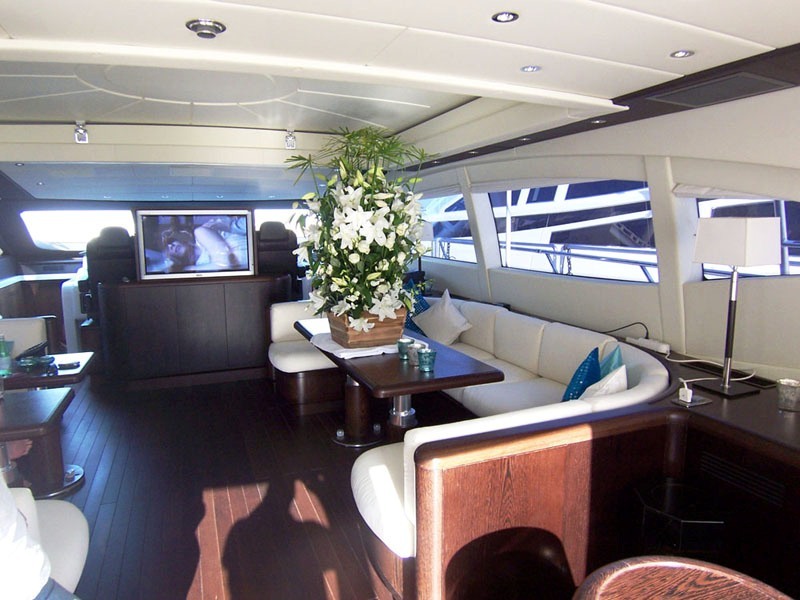 The leather pilot seats that are located behind the large plasma screen, as well as the superb carbon fiber dashboard, reminding that you are on board an Italian performance yacht. 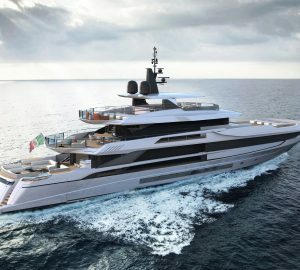 The Mangusta 92 L’ESPERANCE can accommodate up to 6-7 guests in 3 cabins including a full beam Master stateroom, a VIP stateroom, a twin cabin with Pullman bed on the lower deck accessed via a wooden staircase. 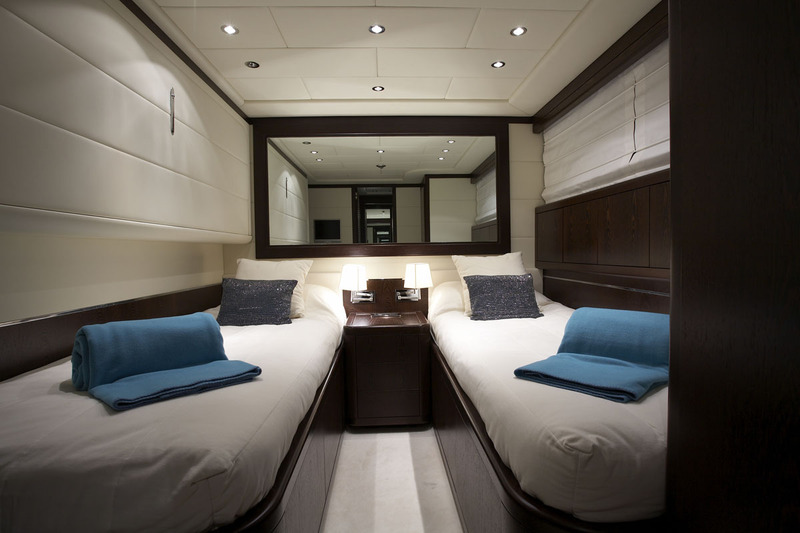 Motor yacht L’ESPERANCE’s outside deck area is spacious and features a large sun awning can shade the 3 x 2m sunbed mattress as well as the casual dining area for al fresco meals. 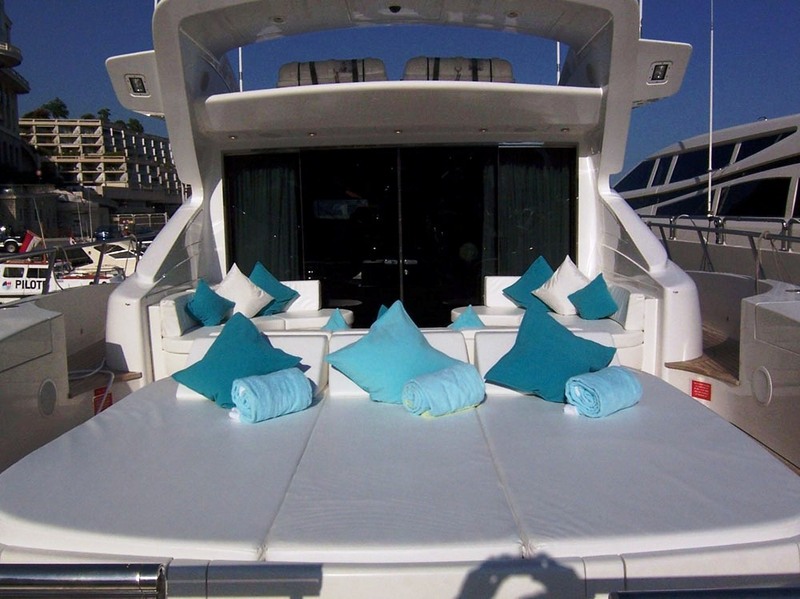 The yacht also offers a forward sunbathing area fitted with a foldable bimini top and a sound system. Last but not least, there is an additional sunbed mattress located on the top of the sunroof. 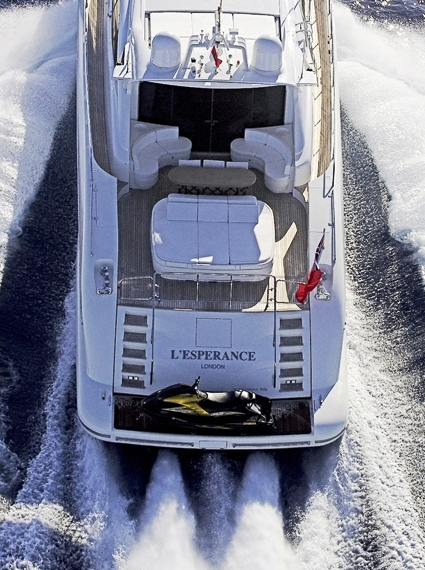 With her outstanding panoramic deck saloon and unique full beam Master cabin amidship with huge king-sized bed, plenty of water toys and a young and international crew, motor yacht L’ESPERANCE’s is the ideal entertaining platform for a luxurious Mediterranean yacht charter. 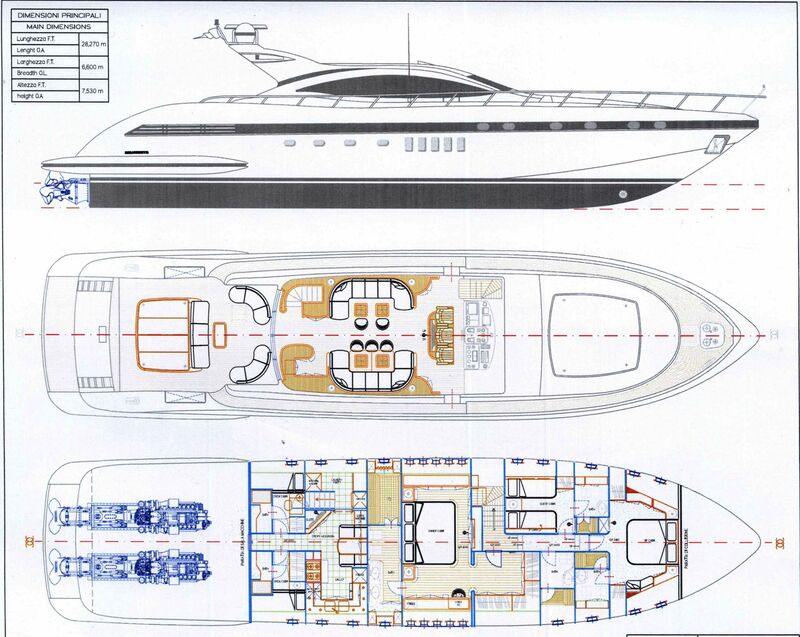 The Mangusta 92 L’ESPERANCE can accommodate up to 6 guests in 3 cabins on the lower deck accessed via a wooden staircase. 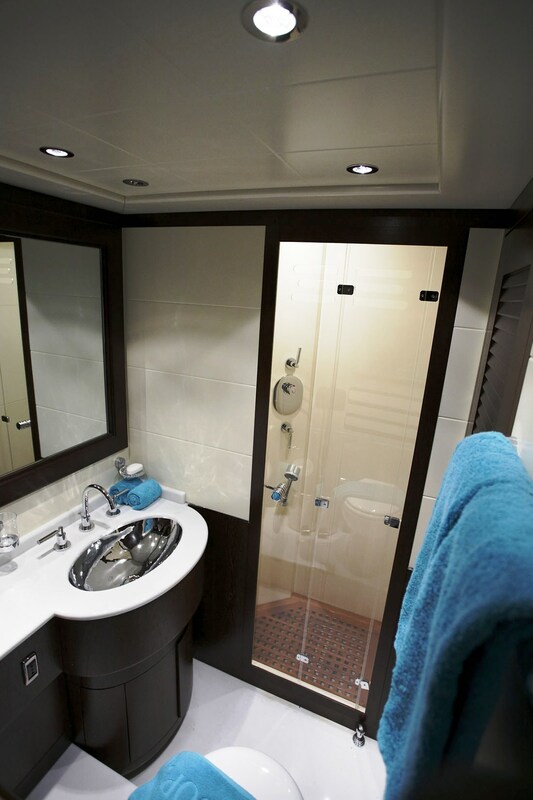 There is a convenient day head in the passageway comes with a WC, a marble-topped washbasin and a shower cubicle. 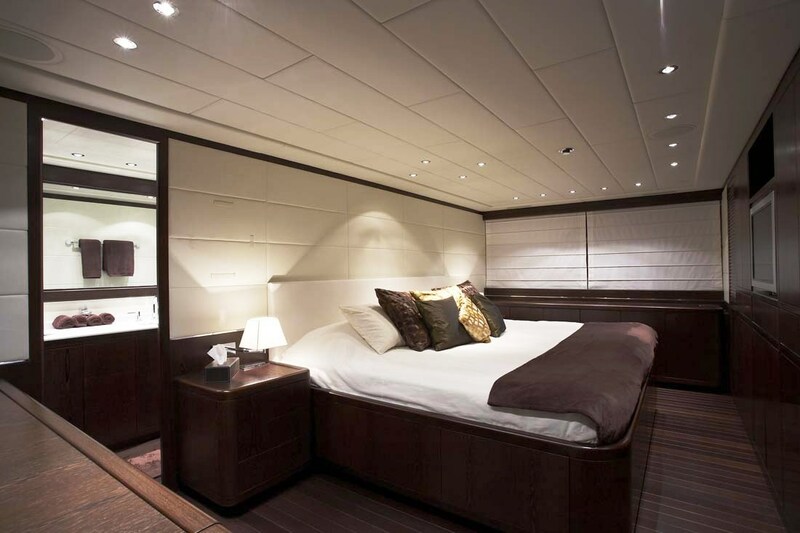 The Master cabin is located amidship and is full width of the beam with plenty of natural light thanks to the 10 panoramic portholes. The large walk-in wardrobe (3.5 m2) at the entrance provides plenty of storage. This cabin also boasts a huge king sized bed measuring 2.5 x 2.1m. 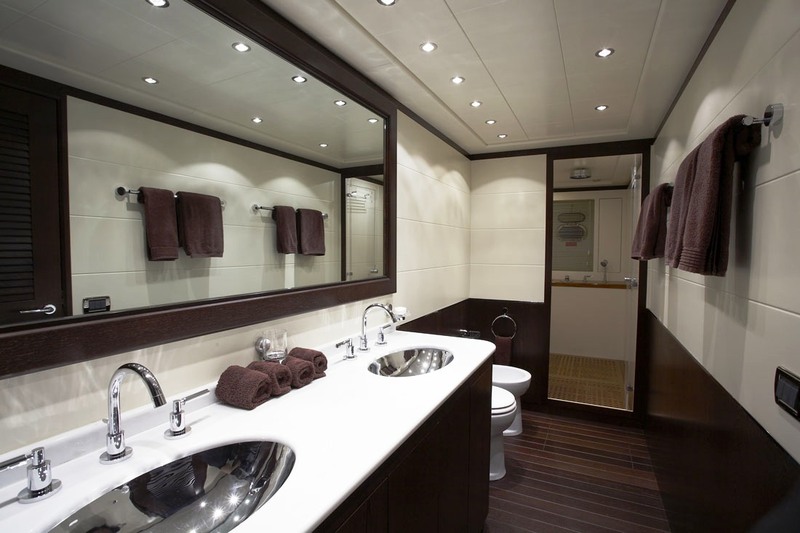 The master cabin full beam bathroom has a twin white marble-topped washbasin, a WC and an ample shower cubicle with seat (3sq. m.). 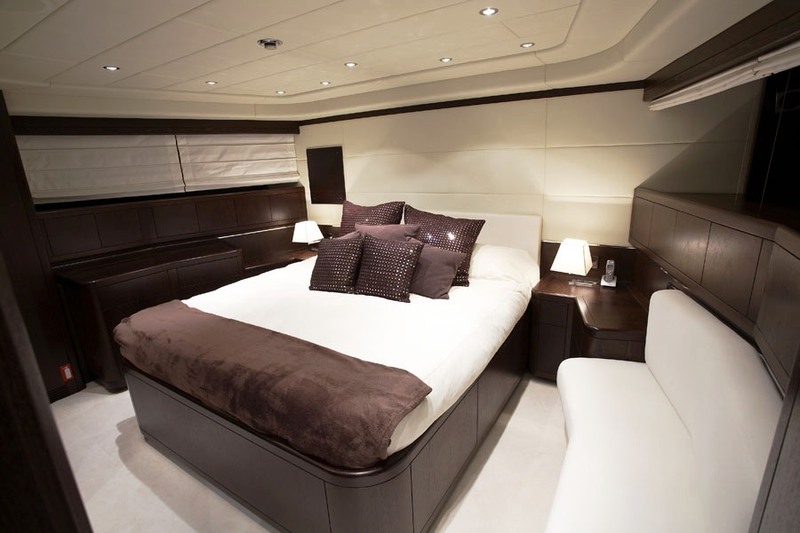 There is an excellent sound insulation because the crew quarters and the bathroom are located between the engine room and the Master cabin. The VIP Cabin is located forward and comprises of a comfortable queen size bed (2 x 1.8m) a sofa for two people and a bathroom with a shower cubicle, a marble-topped washbasin and a WC. There is also a comfortable twin cabin with two beds (0.8 x 2m each) and an additional Pullman berth (0.7 x 1.8m). The bathroom is fitted with a marble-topped washbasin, a WC and a shower cubicle.